♦ The reasons for EDS in PD are multifactorial and include: effects of PD motor disability; the disease process; side-effects of dopaminergic medications; co-morbidities (e.g. depression). Even low dosages may be sedating and induce sleep, whereas high dosages may prolong sleep latency and cause sleep disruption. 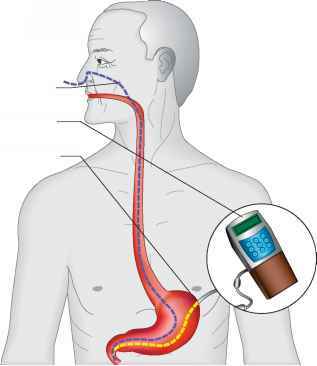 ♦ EDS is found in 15-20% of PD patients compared to 1% of elderly individuals. ♦ The Epworth Sleepiness Scale is a subjective scale widely used in PD sleep studies. ♦ Sudden-onset sleep ('sleep attacks') was first described in nine patients on pramipexole and one patient on ropinirole, causing them to fall asleep while driving leading to accidents. Of these, five patients experienced no warning before the attack. Resolution of symptoms occurred after the medication was discontinued. ♦ On the other hand, appropriate dosages of dopaminergic medication at bedtime may help relieve nocturnal akinesia and rigidity and wearing off symptoms, resulting in improved sleep. One crossover study of 158 PD patients comparing immediate-release levodopa to CR levodopa showed fewer sleep interruptions per night and fewer sleep disturbances with the CR formulation. ♦ A recent study on 10 PD patients with insomnia reported 60% reduction of nocturnal akinesia and complete suppression of axial and early morning dystonia after subthalamic nucleus (STN) deep brain stimulation (DBS). Another study showed seven out of eight PD patients with marked improvement in sleep quality with increased periods of uninterrupted sleep and decreased arousal index.